Our SCP series RS-232 to RS-422/485 serial DIN rail and panel mount converters are compact and tough. Each model is designed and tested to meet heavy industrial EMC standards. The RS-232 signal is connected through a female DB9 connector. 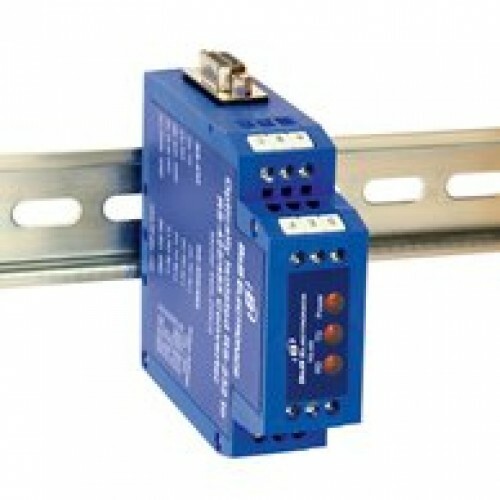 The RS-422/485 (2-Wire and 4-Wire) signal is connected through a removable terminal block, making wiring easy. Power is connected through a two position removable terminal block. Our bit-wise enabled circuitry automatically detects the character time-out eliminating the need to set DIP Switches for the baud rate. Basic model - The SCP211-DFTB3 is non-isolated and made for less demanding temperature extremes. If you need a wider operating temperature but do not require isolation, model SCP211T-DFTB3 is available. These panel mount converter models should be used when isolation is not required, such as applications in which the data line does not exit the control cabinet. 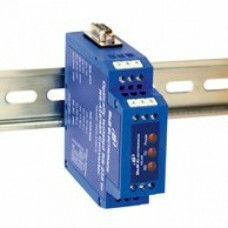 Standard model - 485LDRC9 - features include 10-30 VDC operation, 2-way isolation, 2000V input/output, CE approved. BUY NOW!